According to the American Trucking Association, there is an estimate of 3.5 MILLION truck drivers. 3.5 Million! And that is WITH the massage driver shortage we are currently experiencing. 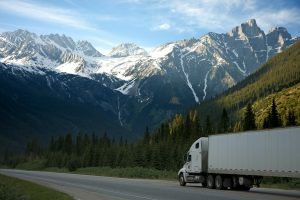 It’s safe to say the demand is high, so if you’re wondering how to become a truck driver or why you should, this article will provide you with everything you need to know. Once you can put a check mark next to each of the above necessities, it’s time to find a truck driving training program or a truck driver school. Either of these will lead you on your way to becoming a truck driver. The difference between the two is that the training programs are offered by companies, who can have tuition reimbursement and allow you to work while completely the training. If your situation does not make this possible, you can find a school of your choice. Truck driver schools are all over the U.S. You can simply google “truck driver school near me” and the options will be there. Truck-drivers-to-be can expect a training course to take anywhere from 7-10 weeks, and can cost you anywhere from $3,000-$10,000. 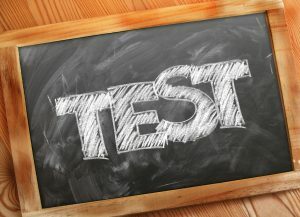 At the end of your training course, you will take a written and physical driving exam. After you pass, hello CDL graduate!! You’re on your way to becoming a trucker. Job sites like Indeed, Glassdoor, and Zip Recruiter can be the road you take to become an “official trucker.” Good luck! Embrace the first year on the job. Become a sponge and gain as much knowledge, insight and skill as you can. Because of being a first year driver, the delivery routes and schedule may be less than favorable. Usually those who have been their longer and have more experience are able to choose their routes. However, it is important to not lose sight of the end goal. In the meantime, get your experience with driving, ride-along with other drivers if possible, adjust to your new lifestyle and stay focused. Do your best and you will continue to see the benefits of being a U.S. truck driver! Along with these motivating reasons to become a truck driver, the opportunity to grow your skill set and be able to haul various kinds of loads is intriguing enough in itself. From reefer trailers to tanker trucks to bull haulers, with experience, you could try them all. Furthermore, after a few years, becoming a trainer for truck drivers or even buying your own truck could become a part of your future goals. Finally, it may seem like there are a quite a few stereotypes around truck drivers and the industry as a whole… thanks Joy Ride. Drew said some of the stereotypes that come up for him are that “we don’t work hard, we are lazy, and inconsiderate of the road. Truck drivers can and do drive at a minimum of 11 hours/day. They have paperwork to fill out and other things that are necessary components of the job. Some truck drivers work 14-15 hours a day between driving, stops, unloading, and paperwork.” Hence, don’t believe everything you hear. It may not be a job for everyone, but it is a job for the ever-patient, self-dependent, and reliable men and women of our country! If that’s you, and you want to be a part of the Allstate family, apply here today! This entry was posted on Monday, February 4th, 2019 at 7:27 pm	and is filed under Trucking Industry Information. You can follow any responses to this entry through the RSS 2.0 feed. You can leave a response, or trackback from your own site.